The prospect of running your own business and being your own boss is thrilling. You have your business idea, your business plan and you’re ready to make some money. Before you set up a Singapore company, run through this checklist to make sure that you’ve got your incorporation basics right. Your company name is subject to approval by ACRA before incorporation. Choose a name that is decent and one that benefits you for the longer term. In this article, you will find some tips on Choosing the right name for your Singapore Company. In Singapore, directors must be at least 18 years old. To incorporate a Singapore company, there must be at least one local resident director. This means that he/she is a Singapore citizen, Singapore permanent resident, Singapore employment pass or Dependant Pass holder. You will also need to decided whether your company directors will hold executive (working) or non executive (non working) roles. 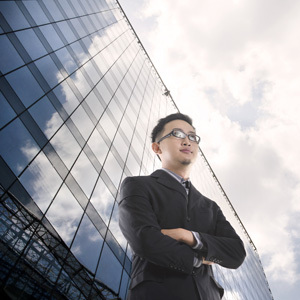 A Singapore private limited company may have at least one, and up to 50 shareholders. Your company director may also be its shareholder. In addition, your company shareholder(s) may consist of corporate entities or persons. Singapore does not prohibit 100% foreign shareholding. Paid up capital is the amount that a company has received from shareholders for purchased shares. While you only need S$1 to register a Singapore company, you could have a better standing for winning larger tenders and attract more investments if you have a higher paid-up capital. Do you know what can be used as your registered business address? This address will be used for all official correspondence between ACRA and your firm. Hence, it must be a local registered address and not a P.O Box address. For more information on what is required to register a Singapore company, please see our Singapore Company Formation Checklist.